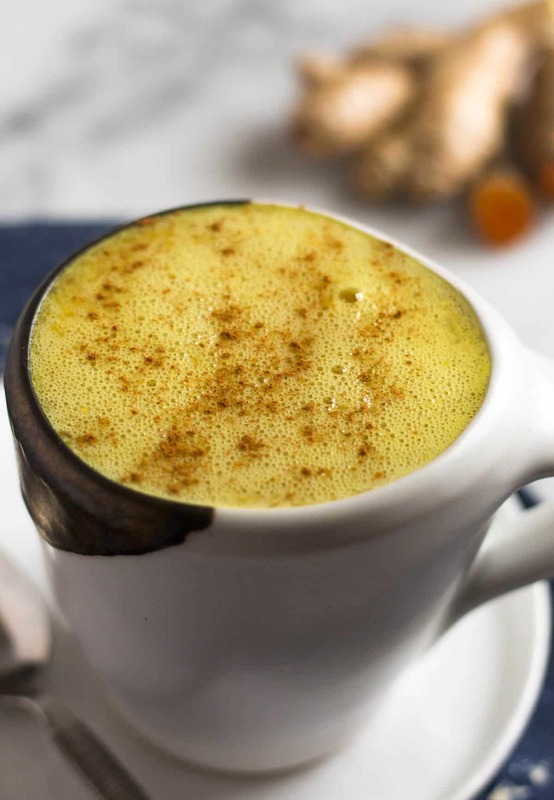 Seriously the best ever golden milk turmeric latte!! 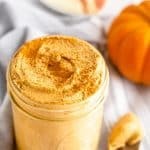 It’s rich, creamy, and smooth made from fresh turmeric and ginger, cashew butter, cinnamon, cayenne, and collagen for an extra protein boost. Only 5 minutes to make you feel on top of the world. Vegan, paleo, and Whole30 approved too. I told myself I would never call one of my recipes “the best ever”. I mean come on, it really can’t be the best ever. There are 100s and 1000s of recipes out there, but I think this one seriously is. It’s rich and creamy, not too sweet, has protein in it, and even has a little spice to it! Even Michael was on board with it. And I made for my parents and they liked it too! 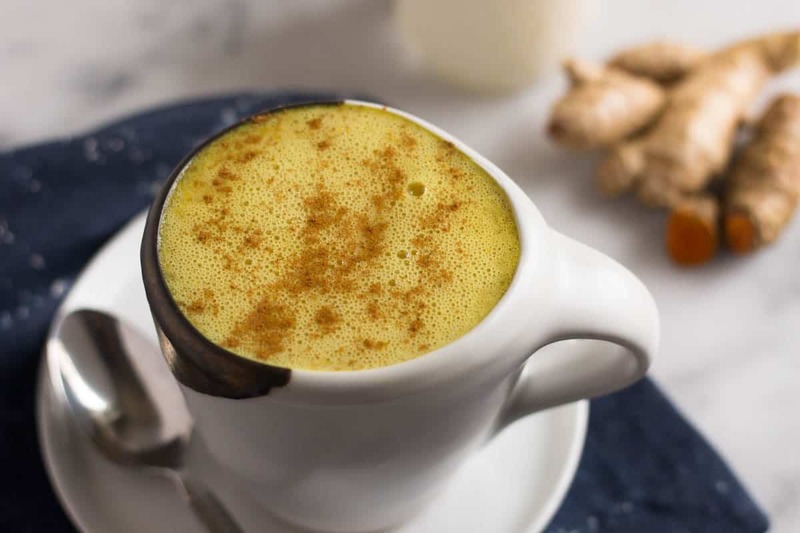 If you are not sure what golden milk it, let me break it down for ya. 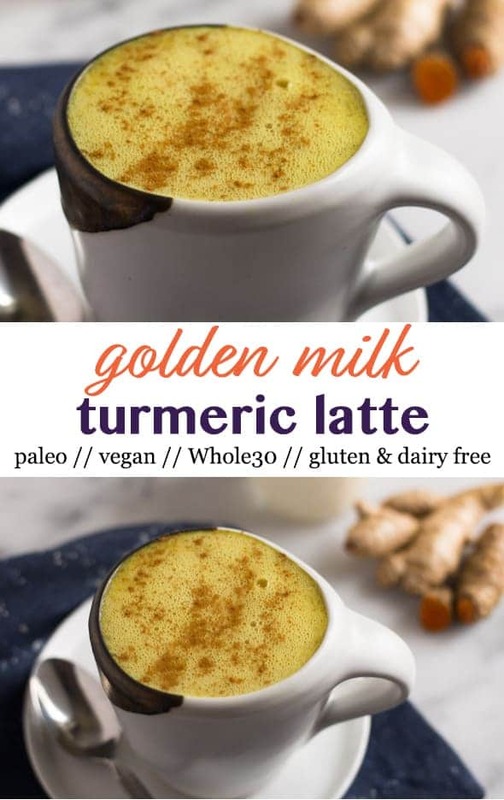 It’s milk (dairy or non) blended or whisked with turmeric (to give it that golden color) along with other spices and add-ins for flavor and taste. You can either heat the milk up while you are making it (my favorite way) or just keep it chilled. Popular additions are ginger, cinnamon, some kind of sweetener like maple syrup or honey, coconut oil, and pepper. What you add to it is really up to you and your personal preference. 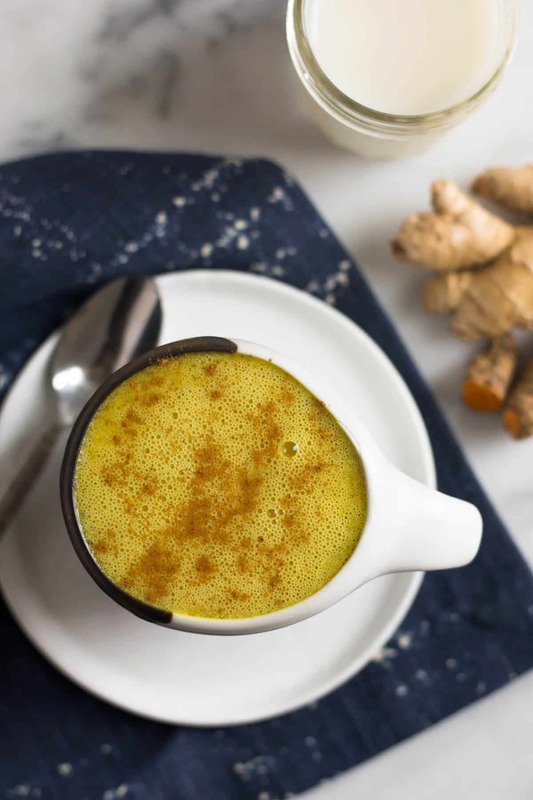 If you haven’t gotten on the turmeric train yet, now is the time! You might be familiar with it if you like Indian cuisine bas it’s an important part of curry. The benefits are unreal. The yellow pigment that gives turmeric it’s beautiful color is curcumin and is responsible for a lot of it’s medicinal benefits as well. One of the main benefits is it’s amazing anti-inflammatory properties, which is great for people with arthritis. 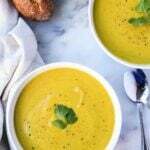 It has an anti-tumor effect, is an antioxidant, is antibacterial, and is one of the highest sources of beta-carotene. You can even mix it with water to form a paste and apply it to irritated skin! I haven’t tried that yet, but the internal benefits are enough to sell me on how great turmeric is for us. Just make sure to use pepper when cooking with turmeric – it helps with the absorption and boosts the bioavailability in the body. 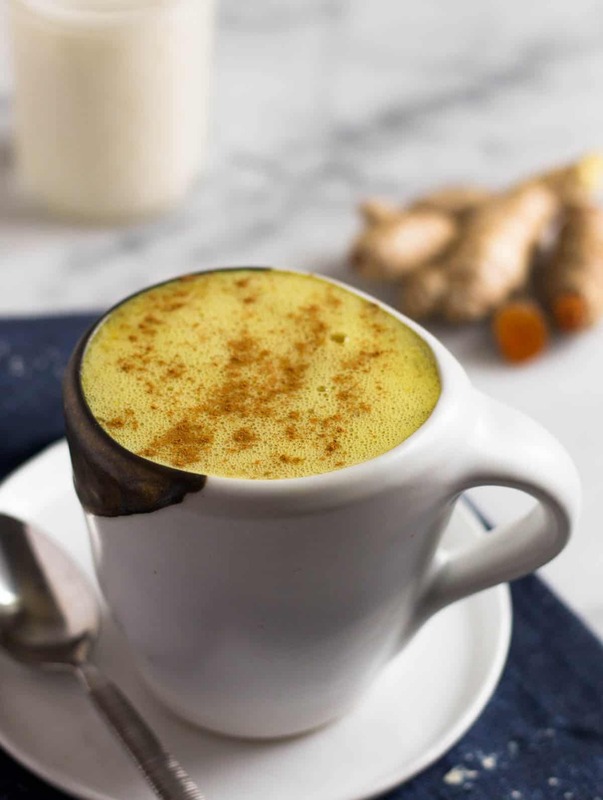 So let’s get into how to make a this said “best ever turmeric latte”. Like I said before, it’s up to you to add whatever you like to your golden milk. But this recipe is legit the bomb! It’s really only 2 simple steps too! 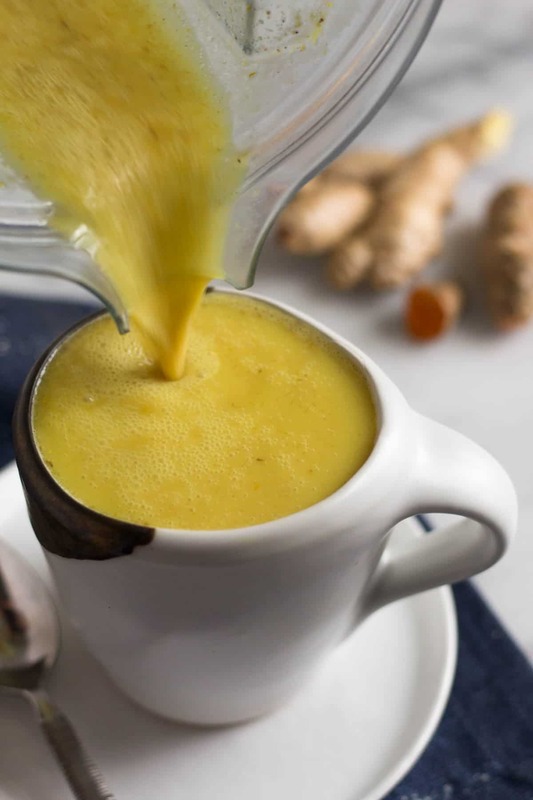 First, almond milk and water is heated up with fresh turmeric and ginger to infuse the milk. I also add a date in the saucepan with the milk to make it easier to blend. While that heats up, to the blender I add a scoop of coconut collagen (any kind will really work though), cashew butter, cinnamon, cayenne, and salt and pepper my Vitamix. The differential factors in this recipe from others is the collagen, cashew butter, and cayenne. 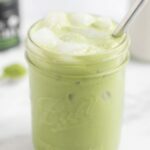 The collagen adds a protein boost and gives the latte a great foam top when blended. Cashew butter makes it rich and super creamy. And the cayenne gives it a little kick and balances out the sweetness. The collagen and cashew butter make the latte a little more filling by adding protein and some fat. 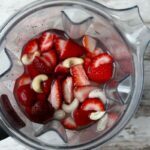 Once the milk is warmed, I add to the Vitamix (any blender will work) and blend away! It comes out so smooth and creamy, with a little froth on top. It a little sweet from the coconut collagen and date and a little spicy from the cayenne and cinnamon. It just makes you feel warm and fuzzy inside and the perfect way to start your day. 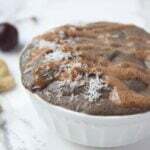 Makes sure you head on over to Pure Taste Recipes to snag the recipe! Am I missing something? There is no actual recipe. You laid out the steps on how to make it but no amounts? I’m sure that matters ? This was quite possibly the worst tasting turmeric recipie I’ve ever made. I was so looking forward to it…followed it to a T except I added 1/8 tsp of cayenne since 1/4 tsp seemed excessive. I’m willing to take responsibility for the final outcome as the ingredients I used may have been inappropriate. So for those of you who want to try, and love this… don’t use Mountain Rose spices as they are just too strong; cinnamon, cayenne. Also, don’t use Himalayan pink salt. Even a pinch was too much. I may try to tweak this toward a more tasty outcome. Hi Gen. I am so sorry to hear that. I actually made this again today and really enjoyed it, but I like things strong and spicy (lots of ginger and cayenne). Feel free to adjust according to your taste as my goal is the recipes to be a guideline if something doesn’t suit you tastes. Sorry for the inconvenience!